Chances are you’re reading this, rolling your eyes and maybe even thinking, “Great! Someone else is pregnant!” My goal in writing this piece is not about bragging or making anyone feel bad about their personal journey to motherhood, but to share the things that worked for me and helped me get pregnant right away. It’s my hope that it will help you too. 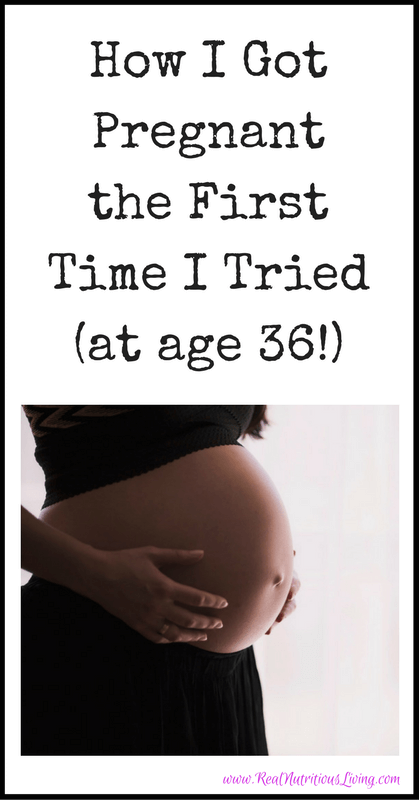 That said I hope you’ll keep reading and learn how I got pregnant the first time I tried. 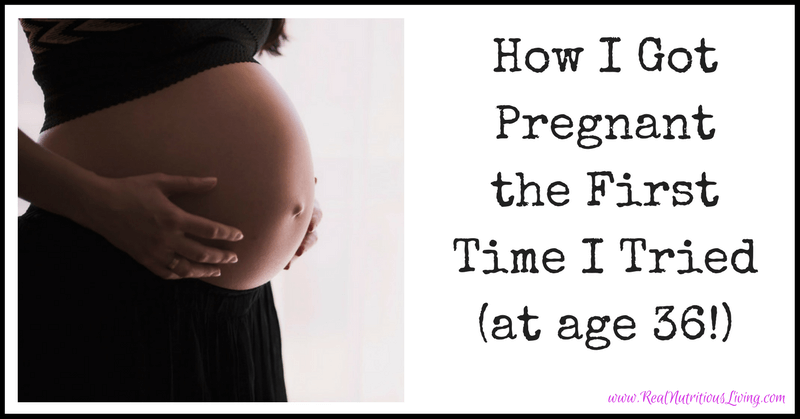 Full Disclosure: About 4 years ago, as I was working with my holistic practitioner, it became as clear as day to me that there was no way I could get pregnant. Although I had begun my healing process, she did agree with me. I did not pursue extensive testing to prove this fact, as I am the type that would likely have obsessed on that I couldn’t have a baby versus continuing to heal (and it wasn’t the right time for us to have a baby anyway.) My hormones were still a mess (thyroid off, progesterone low, testosterone non-existent, cortisol out of whack, the list kind of went on.) My digestion was still not “right” and energy still low. I share this with you so you know where I started when I realized it’s time to think about health for a baby. Start by looking at sleep, hydration, sugar consumption (artificial use included), energy level, caffeine, alcohol intake, frequency of eating out, fruit & vegetable intake, BMI, otc and pharmaceutical drug use. Where is the majority of your food coming from? Are you eating conventional foods or mostly organic? How’s your digestion? Do you have regular bowel movements? Are you gassy and bloated on a regular basis? Do you experience IBS or constipation? Do you have new allergies or food sensitivities? Or get frequent sinus infections? UTI’s? Several rounds of antibiotics? If you’ve answered yes to any of these, your digestive function needs some work so you can make a baby. This may all sound like a lot. If there are several things on this list that are not in balance or you know you could greatly improve on it’s time to work with a great practitioner to help you. Hire me or another holistic practitioner you love. We’re all experts in our own areas. Chances are you don’t change your own oil, you take it to an expert to do it, right? Your body is way more important than your car! Invest the time and money and work with someone to balance your diet, energy, digestion and systems discussed above. It’ll keep you off the hamster wheel, frustrated from doing “guess work and wasting precious time and money.” Know this work will take some time, but it’s worth it! Yes, I want you to toss the little blue pills. Now you’re thinking, she is insane. Order a highly accurate fertility monitor (this one is 99.3% accurate.) Ditch the potentially toxic pills and let your system start to cleanse and balance. Order some natural condoms for backup. Read Taking Charge of Your Fertility (or something similar) and learn about your body and cycle. Involve your partner who loves you, wants you to be healthy and make a baby. Assuming you’ve done the steps above start taking high-quality prenatal vitamins at least six months prior to conception. Fish oil (studies show this makes baby smarter!) New Chapter wholemega and Rosita Cod Liver Oil are great. Probiotics 1-3 times daily (we love Prescript assist and Thrive. Vitamin D3 2,000-5,000 IU’s daily is ideal. Studies show the brand really doesn’t matter to get D3, but added impurities can be an issue, so I trust the quality of this one. Maca contains 31 different minerals and 60 different phytonutrients. This root is a nourishing food for the endocrine system, aiding both the pituitary, adrenal, and thyroid glands (all involved in hormonal balance.) Maca has the ability to affect key hormones in both women and men without containing hormones itself. Royal Jelly is a creamy substance is produced by bee’s to nourish their queen. Royal Jelly is rich in amino acids, lipids, sugars, some vitamins, fatty acids and most importantly, proteins. It contains ample levels of iron and calcium. Royal Jelly also contains acetylcholine, which is needed to transmit nerve messages from cell to cell. Regular consumption of high-quality Royal Jelly has been shown to help balance hormones. 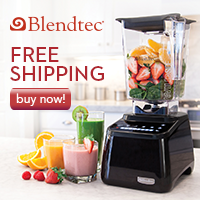 Search around for a high-quality brand at your local trusted health food store or try this one. One month before we were going to “try” for baby, I did the RNL cleanse. Removing any excess lingering toxins, cleaning up my diet one step further and enhancing my digestion all set the stage for my healthiest, happiest and most fertile body. I didn’t do the cleanse to get pregnant but to set the stage for the healthiest body for baby to make a home. I worked for over a year to perfect this gentle and effective cleanse and it’s the only one in which I’ve found personal success (more details HERE). During your month-long cleanse is a great time to cleanse your personal products and household cleaners, if you already haven’t. Read this post on what to use for cleaning and the dangers of your Windex. And read this post to find out what’s really hiding in your makeup and beauty products. Looking for clean makeup? This is the brand I personally use and love. Don’t know what you might like? Simply email me melissa@realnutritiousliving.com and I’ll help you make the best selections for you skin, needs and budget. This step can’t be left out. I want to be clear, exercise is very important, but you must be the right kind for your body or you will create hormonal imbalances over time, which will prevent you from conceiving. Healthy women who push their bodies just far enough that they disrupt their delicate hormonal balance and their brain stops sending a signal to the ovaries to send down an egg to fertilize. A study in Obstetrics & Gynecology concluded that women who exercised 30 minutes or more daily had a reduced risk of infertility due to ovulation disorders. On the other hand, some data links too much vigorous exercise with lowered fertility, as both a 2009 study in Human Reproduction and a Harvard study of elite athletes found. Listen to your body. Exercise should only energize and make you feel better. If it’s exhausting, you feel you aren’t recovering properly, or need a nap after exercise try something different. Your health coach (step 1) will help you find the right exercise for your body. Gentle, yet effective options include barre classes, hiking, yoga, short home circuits, Pilates, walking and much more. Also, make sure you’re properly fueling with food, water, and rest both before and after exercise for maximum effectiveness. Are you running yourself ragged regularly? Do you allow yourself downtime on the weekend? If everything you do is at a breakneck pace and you can’t remember the last time you’ve slept in, had a vacation or had a truly relaxing weekend it’s time for a change. A body in a constant state of stress can actually shut down reproductive function. This is not ideal if you are trying to get pregnant! It is essential that you make a stress reduction plan. Stress reduction and relaxation is different for everyone. Start small with a hot bath or deep breathing and graduate up to booking your next vacation. Practice creating the space in your life for the baby. If you run from the minute you wake until bed, there may not yet be space in your life for a baby. I can’t tell you how many busy couples I’ve worked with focused in on this and were pregnant shortly after. My husband had been really stressed before we planned to conceive. I had him do the RNL cleanse with me and booked a trip to Hawaii. I know this isn’t possible for everyone but this created true downtime and a setting to leave it all behind and just relax together. Consider a relaxing date night or weekend away on a budget if at all possible. Removing the stress, chores and day to day madness, even short-term gives you a better chance to make a baby. Last but not least, I want to say to you there is a wonderful plan for your life. I believe my hard work and the steps above helped me get pregnant, but I believe even more that it was the right time for us. Pray and meditate about when a baby should come into your life. Believe baby will come exactly when it’s supposed to. Are you ready to prep for pregnancy? I am taking on 5 new clients for the RNL 3 month pregnancy prep program. Click here now for details and to sign up! This is so interesting, thank you for sharing! I think the de-stressing step is SO critical. Many of us put so much pressure on ourselves and it can most definitely have the opposite effect! It’s so true and it’s a hard one, because it’s not as outwardly visible. I completely understand. It always comes down to stress for me! Great tips! Stress is a big killer, but it’s so hard to avoid! Agree and agree! My EO’s and exercise really have helped! These are fantastic tips! I consider one of the lucky ones too as both my kids were two attempts. I feel very, very fortunate! That’s such a wonderful story! Thank you! And me too- so blessed! Stress! It affects everything! So glad you conceived! Such a inspiring story and love the resources you provided! I think this will give hope and help so many women. Thank you Jean! Yes, it’s a process where lots of patience is required but our body is amazing and will heal! this may be focused on pregnancy, but much of this is key for being healthy in general!! Really thoughtful points! Such a great point Tessa! I just did a podcast where we spoke about just that! This is such great info. It is such a good idea to clean things up BEFORE we get pregnant. It really does make a difference. Thanks for sharing. YES! I am not sure why some people decide to wait. Maybe it’s misinformation? Thank you! This was truly eye-opening, resourceful, and really actionable. I will definitely bookmark this one to share with people I work with who might face similar issues. Thanks for sharing some of the more personal details of your own story in an effort to help others! It is so important!! Thank you so much Irena! It truly means so much you would say that. Wow this is such a great resource to help us all get healthier, thanks so much for putting it all together! You’re welcome! Thanks for the kind words Kari! Love reading your posts as always. So refreshing, informative, and easy to read. Thank you ! Thank you! That is so kind and you’re welcome! Wow, such an informative and helpful article. Fertility issues are really becoming more prevalent and this resource will help so many people. SO kind Stacey! If it helps even one person, it’s a success! It’s definitely a touchy subject, but I am really passionate about holistic reproductive health for women and at it’s core it is lifestyle changes and tracking getting to know their cycles, which surprisingly many women has such a disconnect with. Great post and congrats! SO true Cristina. Thanks for stopping by and the kind feedback. Congrats! I am glad all your hard work (and it is hard work making those changes) paid off! You’re so sweet Holley. Thank you! Patience was key with the changes for sure. It’s so great you ditched the birth control. It’s so important to do so that way our bodies can balance and be ready to conceive when the time is right! Many people do get pregnant right away after discontinuing the use of birth control. Our body gets the signal, it’s time to get pregnant! Of course, it depends when in our cycle we stop using the pill too! So many factors. Next Next post: Chocolate Beauty, Desserts and Drinks You’ll Love for Valentine’s Day!